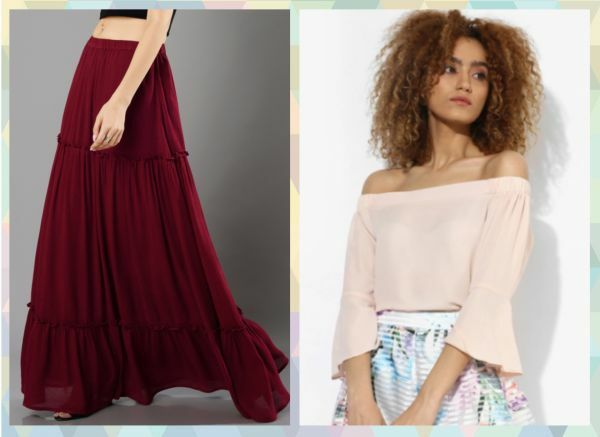 Stay Comfy & Stylish On Your Period - 9 FAB Outfits! Cramps, bloated stomach and mood swings - we know it girls, periods are just TOO much to handle! While everything else seems like a struggle on those tough days, your outfits should NOT! So cheer up ladies, we have 9 super stylish and comfy outfits for when you are on your period that will make you look awesome even during THAT time of the month! If you’re worried about your pad lines showing, think no more ladies! This long dress and jeggings combo is going to be your next favourite period outfit. Pair it with a high bun and sneakers and you’ll be good to go! 2. Indian wear to the rescue! This one’s a no-brainer! 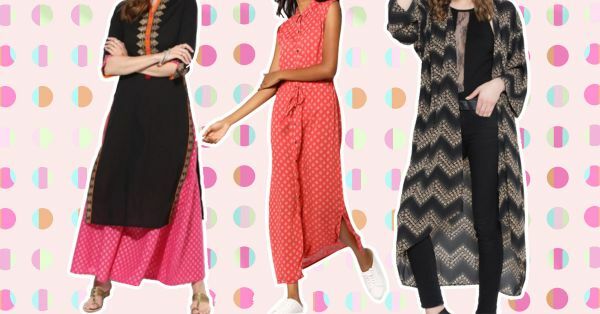 There’s nothing better than a kurta and palazzo set to wear on your period. It will keep you comfy all day long, while making you look super pretty. Just a touch of these gorgeous ethnic earrings, and you’ll be good to go! Maxi dresses not only make you look chic and stylish, but also keep you breezy all day long. Choose one with prints and pair it with tie-up sandals. You’ll look great and feel comfy without putting in much effort! 4. Mom jeans all the way! Mom jeans are one of the best period-wear clothing that most of us own. They are a little baggy and hence keep you breezy and comfy. 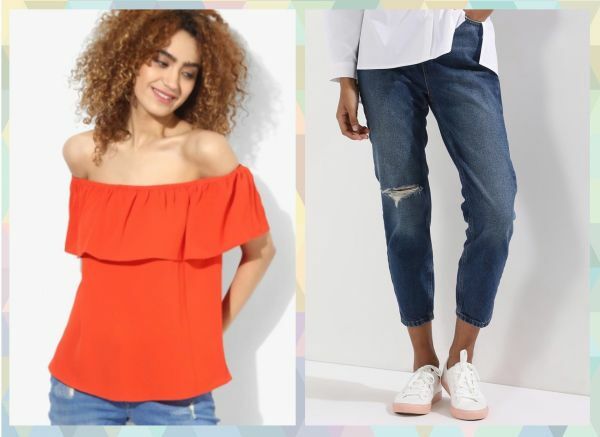 Pair it with a bright coloured top and get ready to have a happy period! You don’t need to be going to the gym to wear tights. They look super cool, are so comfy and can be worn on your period days. Choose them in dark and busy prints and pair them with plain tees and sneakers. 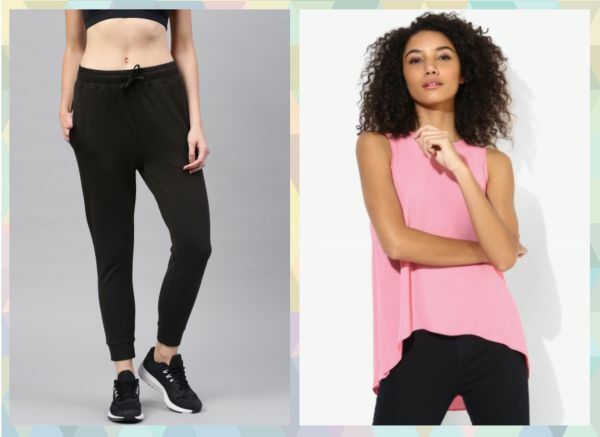 Go on, nail the athleisure trend like a total fashion pro! Most women tend to feel bloated while they are menstruating. High waisted pants are a great way to hide that swollen tummy while feeling utterly comfortable. You can pair up these pants with a pretty crop top and show off a hint of your waist. 7. Love your long skirts! Trust your maxi skirt to make you feel comfortable when you’re on your period. It will keep you breezy and fresh all day long without restricting your movement. Pair it with a pretty off shoulder top to look stunning! He who says joggers are just for jogging isn’t just cool enough! With everyone rocking the athleisure trend these days, there is no reason to NOT wear sweatpants. They are comfy, relaxing and easy to wear - just perfect for period days. Pair them with pretty tops and sneakers and you’re done! 9. Put a shrug on it! A longline shrug is an ideal piece of clothing to wear while you’re on your period. It won’t let your pad lines show! Even if you stain your clothes by chance, it can always save the day! You can throw it over anything, literally! Go on and sail through your period in style!